Yes, it’s been 700 days since Trump was sworn in–just under two years–though it feels like a lifetime. Pick any week of his presidency and you’ll find more scandals than the entire eight years of Obama’s tenure. 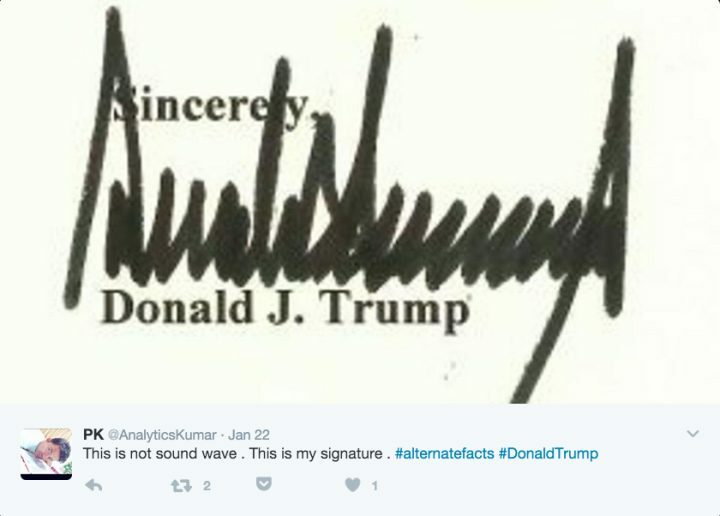 Trump’s signature looks like the cardiograph of any concerned citizen during his grotesque reign. Like so many during the Trump disaster, Day 700 was full of news, most of it bad. It was announced yesterday that Secretary of Defense Jim Mattis would be stepping down in February and his resignation letter suggested that Trump deserved a Defense Secretary whose outlook is more closely in alignment with Trump. In other words, Mattis vehemently disagreed with Trump’s impetuous decision to pull our troops out of Syria and failed to persuade Trump to call it off. And Mattis implied that Trump did not value our long-cherished alliances nor did he grasp the threat posed by hostile nations like China and Russia. So Mattis’ departure is a protest of sorts, making him the only Secretary of Defense in our nation’s history to resign in protest. The Syria pullout has been derided by almost all of our allies, including Israel, but Iran, Turkey and ISIS are cheering. Members of our military are said to be livid, Mattis among them. Members of the GOP also seem appalled, at least in private, with Mitch McConnell issuing a strong statement echoing the points of the Mattis resignation letter, essentially chiding Trump for abusing our historic alliances. It must also weigh on Mattis that he is working for an unindicted co-conspirator. Meanwhile it looks like Trump will not sign the continuing budget resolution to keep the government open unless he gets $5+ billion for his border wall. The House passed a version that included Trump’s money, but unless the GOP can rally members of the Senate–including at least ten Democrats–it looks likely we are heading for a Trump Shutdown. It will be interesting to see how many Trump supporters in areas like ICE and Border Security don’t mind their paychecks getting cut around the holidays. All hail the Dear Leader! The stock market reacted badly to the potential shutdown and dropped yet another 400+ points yesterday, while several analysts on Wall Street signaled that they were scaling back their GDP projections for 2019. “The greatest economy in the history of our nation” is looking more like damaged goods, and every move by Trump is making things worse. The other bad news was that the interim Attorney General Matt Whitaker decided he will not recuse himself from overseeing the Mueller investigation even though members of the DOJ ethics team informally recommended recusal. It’s easy to imagine that his intentions were not consistent with his oath of office, especially given his prior animus toward the Mueller probe. And it’s still an open question whether his appointment was legal in the first place.